In India, Partnership is governed by the Indian Partnership Act, 1932. 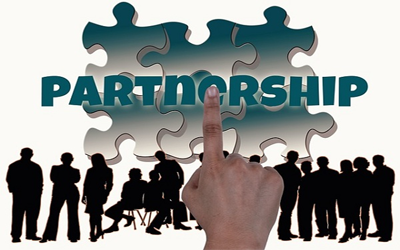 Partnership is defined as per section 4 of the Indian Partnership Act 1932 is as the relation between persons who have agreed to share profits of the business carried on by all or any of them acting for all. We provide the registration of the clients' partnership firm under the Partnership Act, 1932. Two Photographs of all Partners.